In this lesson I will teach you how to avoid common mistakes and boost your IELTS language skills with some simple tips. These tips generally apply to the IELTS Writing Exam; however, they can be useful in improving your spoken English. Just remember, though, that spoken English is less formal and it is more important to think about fluency of speech than adhering strictly to all the rules of the language. Remember: repetition sounds really bad in English, and replacing the word “very” in your sentences is an easy way to make yourself sound better. Look at your use of verbs and nouns. Can you change these for more interesting words? Be careful that you know exactly how to use the language. The most important thing is being correct. Instead of saying “big” again, you could say “large”. Instead of saying “increase” a second time, you could say “grow”. Always view repetition as a chance to improve your vocabulary through synonyms. Paraphrasing is important for the introduction of any IELTS essay. You should not repeat any part of the question except maybe a few words of key vocabulary. Remember, you are being assessed on your own use of English. Underline key words in the text and think of synonyms. It may be difficult to change a word, but you can still change related parts of speech. Rewrite using your notes to avoid repeating the same grammar and vocabulary as the test paper. Make sure that you truly understand the meaning of a question. Think of the text’s main idea and try to summarize it. Read for general understanding and not specific phrases. This will help you avoid reusing phrases from the question. In the end, you should have a sentence which says the same thing as the original one, but in a totally new way. Emotive language is language that sounds like it is stating a fact, but is actually presenting an opinion. ie An innocent bystander was viciously attacked by a drunken idiot. It can be difficult even for native speakers to avoid using bias in their language, but in an academic setting we must be careful to speak objectively. To remove emotive language from your writing, aim to present only facts. This is especially true of IELTS writing task 1, where there should be no opinions presented whatsoever. Remember that not everyone can agree, so reflect this in your writing. In the IELTS writing you should be aiming for a high degree of accuracy, so don’t overgeneralize. Use words that show your reader where your essay is going. Make sure that your essay has a logical flow. Use a range of device, not just the basics. Be consistent with these devices. In English there is a big difference between the “almost right” word and the right word. Make sure you know the exact meaning of every word of vocabulary that you use. If you are unsure, use a search engine and find examples of professional writers using the word or phrase. Be informed and be confident. Try not to think in your native language and translate to English. Our language structures are different. In English, for example, we can’t (normally) start a sentence with “and” or “but” or “because,” whereas in Chinese this is perfectly acceptable. Learn to think in English. Learn from reading and listening. 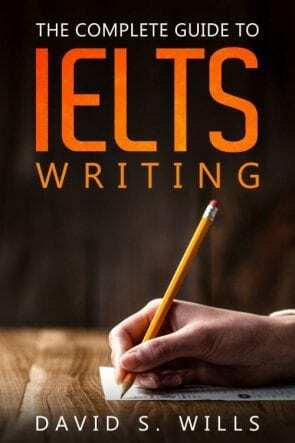 What is an IELTS phrase? IELTS phrases are clichés or overused phrases commonly found in IELTS essays. Often, training schools and textbooks teach these but they are not helpful to you. Avoid them. Use your own words. Remember than an IELTS examiner will work long hours, reading dozens of essays every day. If keep reading the same phrases over and over, it will be very annoying for them. What’s more, these phrases constitute “formulaic language” and this will result in your score being capped at Band 4. NEVER use these. They are the worst phrases an IELTS student can learn. These are clichés. They sound like memorized phrases. These are too informal. The first one refers to introducing people. It’s not a way of concluding an essay. This is not good English. A native speaker would not say this. Follow the above advice to improve your language for IELTS, particularly in the writing exam. By reading this guide carefully, you can incorporate some really valuable lessons into your IELTS skills. It would be nice if you referenced where you got the cohesive devices images, instead of just cutting off the name of the website.